What is our Barre Workout? Looking to stay fit this year? Spend your Saturdays at our Barre class. Class begins at 11 am. Our barre master teaches a combination of fit techniques and postures inspired by ballet to improve your concentration and focus and trigger weight loss, cellulite reduction, and increase bone health. You’ll learn ways to increase balance, strength training, and target core training in a fun, social atmosphere. When taking a barre or a ballet class, the student needs to be aware of where he is in relation to others, where he is in the room and how his body is moving. There are many specific movements of the hands and feet that are learned. This requires memorization and learning how to sequence movements. These skills can help children and adults with ADD or ADHD, as well as anyone who wants to improve their memory. Through barre fitness and ballet, you will create an outlet for emotional expression. Using your body to express emotions helps to integrate the mind and the body. There is much being written these days on the relationship between unexpressed emotions and chronic pain. Through the integration and expression of emotions, we are able to move through emotional distress, and possibly through the causes of chronic pain and other disease. A very specific way barre fitness and ballet can help with depression and anxiety is by increasing the neurotransmitter serotonin. Many anti-depressant medications act specifically on serotonin. These same medications are given to people for eating disorders, PMS, menopausal symptoms, fibromyalgia and other things. In our experience with testing people's neurotransmitters, we often find people low in serotonin. If there are natural ways to increase this neurotransmitter, it is worth trying. Other benefits of barre fitness and ballet include increased flexibility, better posture, toning and strengthening of muscles, sweating out toxins, and many more. Whether you are looking for an after-school activity for your child, or a way to get some exercise, barre fitness and ballet offer many benefits for children and adults. Barre fitness and ballet activities benefit both mind and body, as well as help people heal from specific medical conditions. 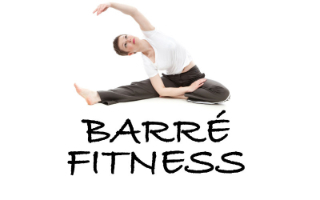 Spend your Saturdays at Barre Fitness! Nervous about learning barre in a group setting? We provide private lessons for all our dance styles. Call for more details.